Sponsored Post: This is a sponsored post but all thoughts are my own. This is a product I truly love. This post may contain affiliate links for your shopping convenience. View our full disclosure policy HERE. It is no secret that we love crafts and projects around here. My girls are constantly creating and coloring and asking if we can do a "project." They would chose that over a game any day. 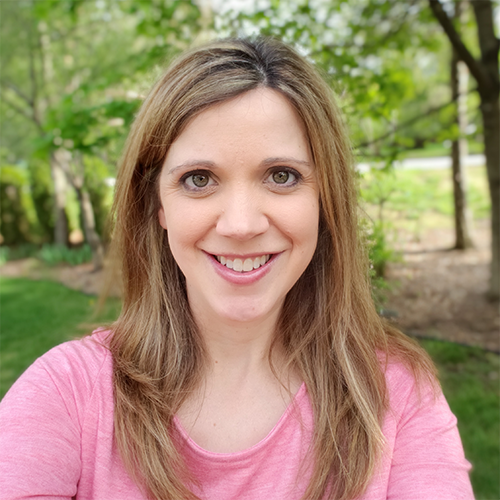 I'm always looking for new ways to create and if it is easy and mess free, I'm all about it. I was so excited when The Pencil Grip, Inc. reached out to me and asked if I wanted to try out Kwik Stix. Kwik Stix are tempera paint in a stick format. It doesn't require any water and dries in 90 seconds. That means no wet paper that you are waiting to dry. 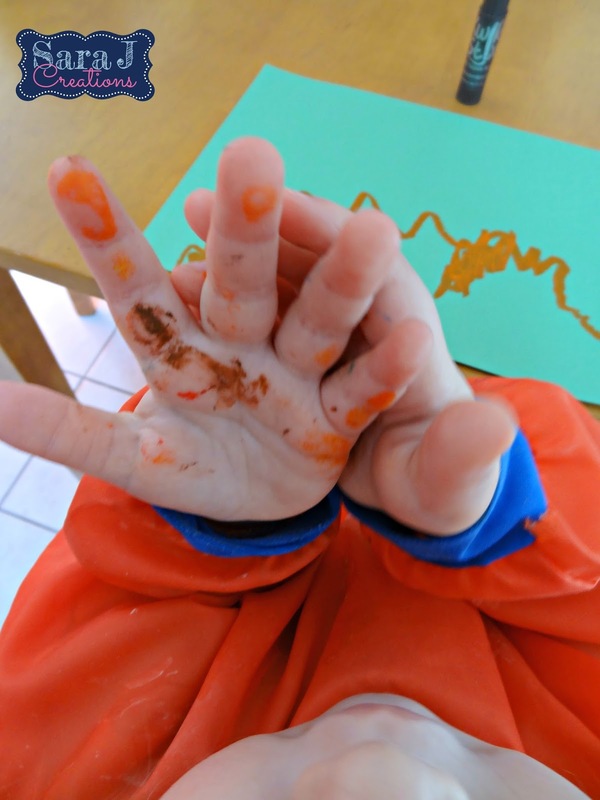 It also means minimal mess which makes it perfect to use with toddlers or in classroom settings. We tried out Kwik Stix on big white chart paper first. 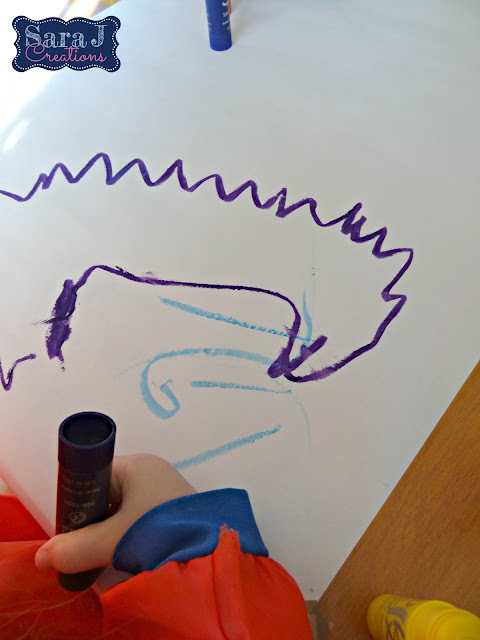 I loved how bright the colors were and how easily they would glide across the paper as my girls were drawing. 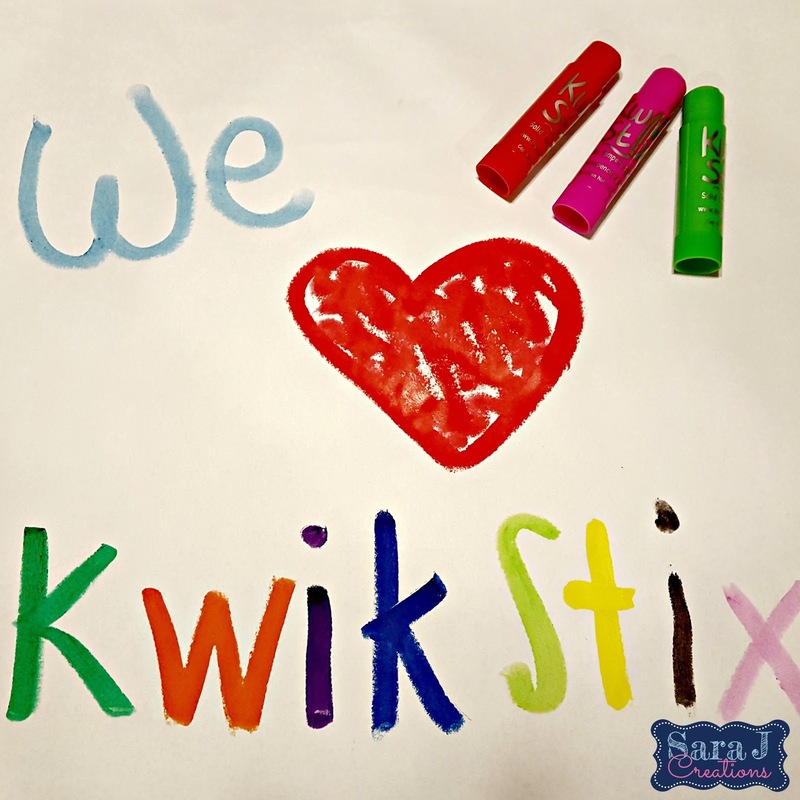 Kwik Stix are short and chunky like a glue stick, which made them perfect for little hands. I helped the girls get the tops off and then they were happy to try out all the colors and explore. After we filled up the white paper, we switched to different colors of construction paper. They still worked well on construction paper too. The colors seemed more vibrant on the white paper but it worked just as well on either type of paper. I had no agenda with the girls. 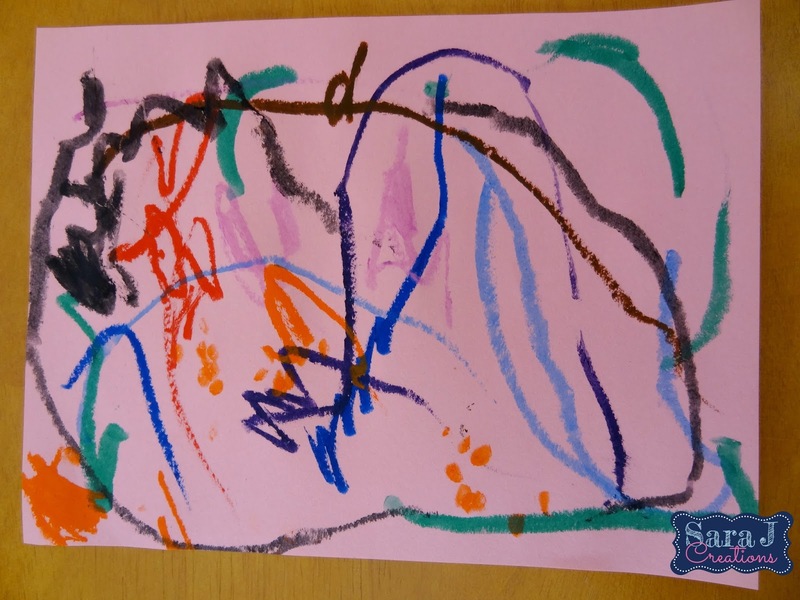 I just let them paint and explore this new medium. 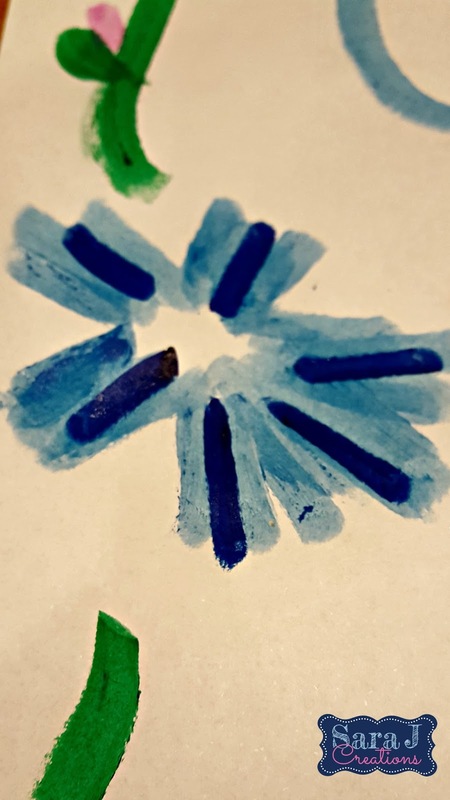 The teacher in me knew that other teachers might want to use the paints differently (though I'm not an art teacher so who knows?) so I tried mixing them to see what would happen. 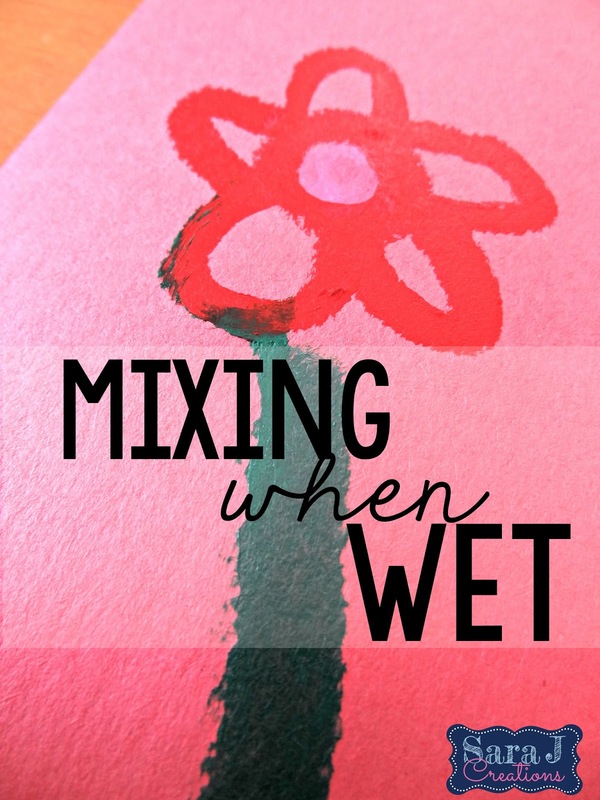 It is possible to get the paints to mix like a traditional paint if you mix them before the 90 seconds when they dry. As you can tell in the picture above, you can mix and smear when wet. If you wait until the paint is dry and use another color, you are able to paint on top of it without the colors mixing. I made the dark blue lines and let it dry and then took the light blue to paint around it and there was no smearing. My girls were begging to use the white paint on the white paper. They do the same thing with crayons. I try to get them to understand that you can't see it. I grabbed a piece of black construction paper and tried out the white paint. 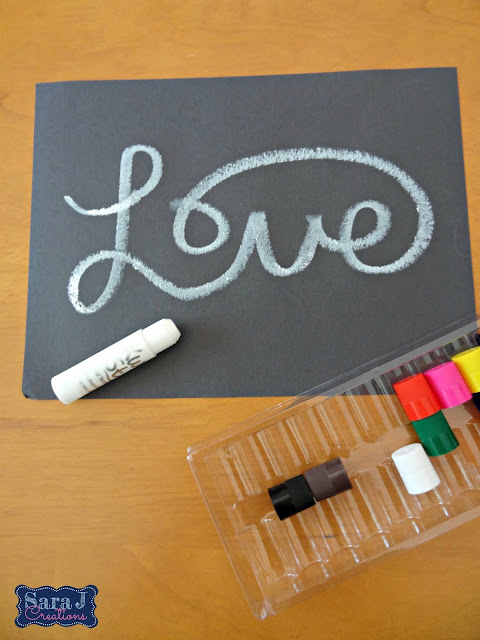 It was exactly what I was hoping for - a chalkboard look without the mess of chalk. So fun and so many possibilities. 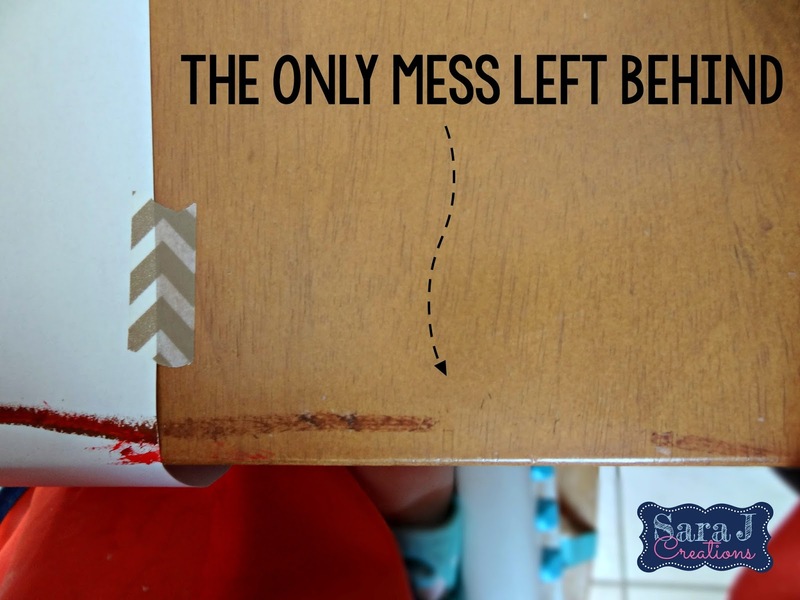 I am a mom who is okay with a mess. I let the girls play and make a mess and then we clean up. That's why we save our painting and really messy projects for when daddy isn't home. He doesn't tolerate the mess the way I do. That being said, I am all about easy clean fun, too. Kwik Stix were definitely this. The girls loved painting and I loved the minimal mess. The mark above is the only mess we had on the table and I didn't have a cover on the table. I'm sure it would have washed off quickly with water but I rubbed it with my hand and it came right off. My oldest stayed pretty clean but my two year old got some on her hands, but this was really minimal compared to normal painting. It only took rubbing her hands under water to get the paint off. LOVE the minimal cleanup and the fact that my bathroom sink won't be covered in paint! As we were cleaning up, M decided to do a little matching practice as she found the right cap for each paint stick. Bonus learning!!! 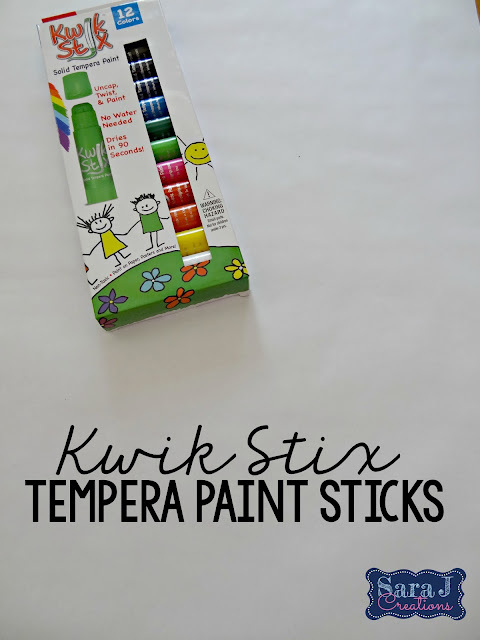 I absolutely love Kwik Stix and not only will they be my go to for painting at our house, but I think they will be my go to gift for the kids and teachers in our life. 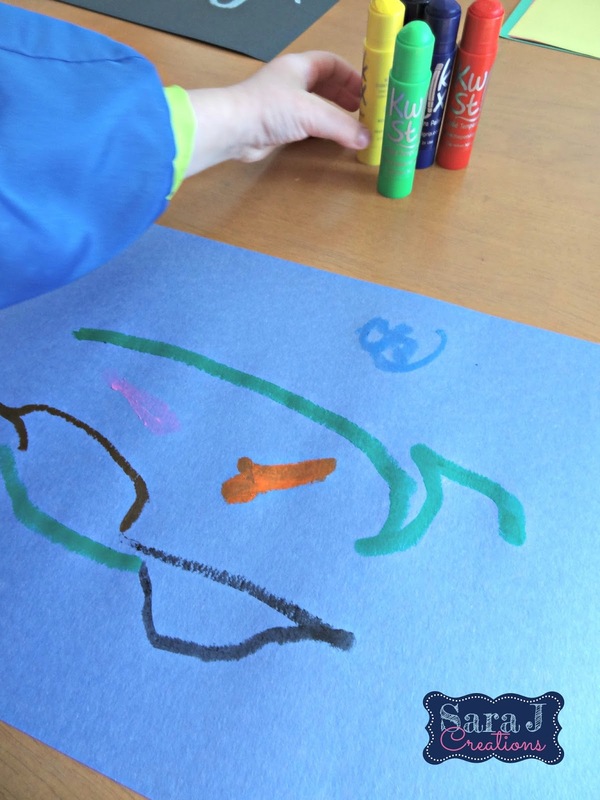 It is such an easy and inexpensive way to have fun and get creative. 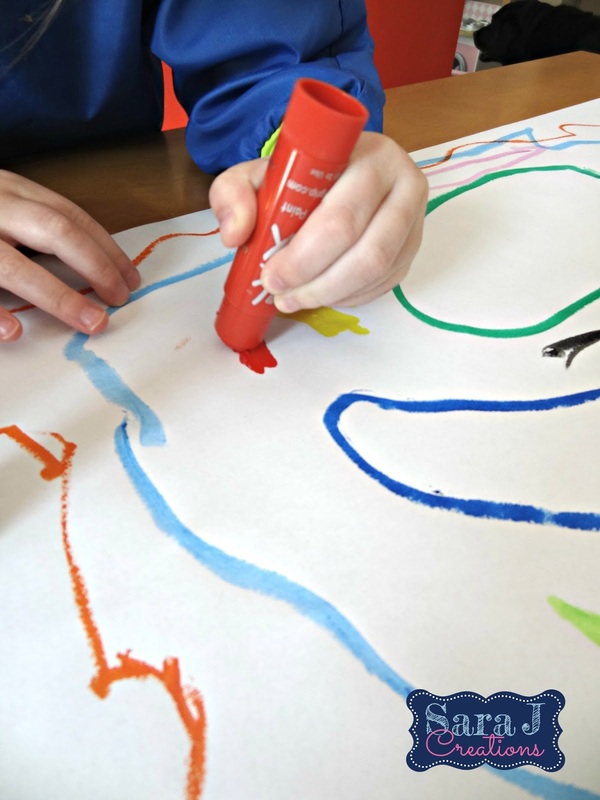 Not only would it be perfect for making artwork but it would be great for banners, posters, amd anchor charts and would be faster than coloring with markers but still give you a bold look. You can find Kwik Stix HERE on Amazon. 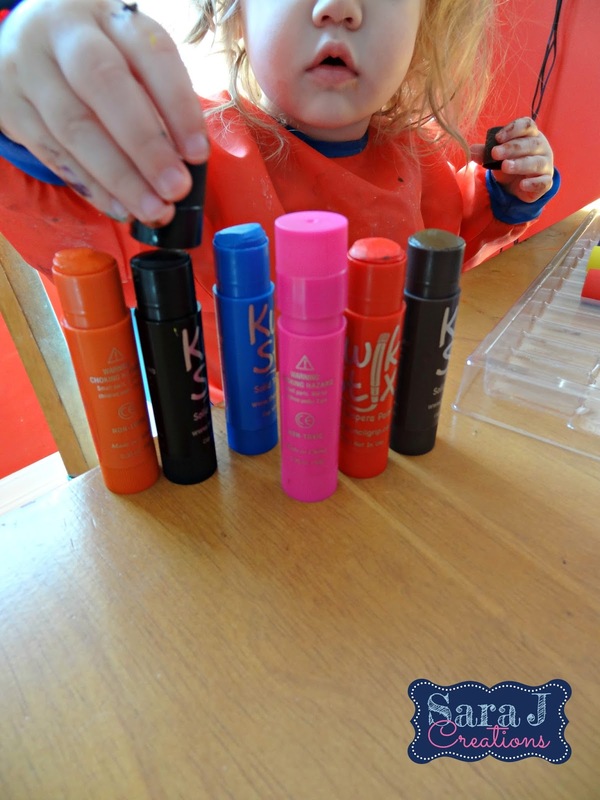 I am also giving away a set of Kwik Stix to one of my readers. 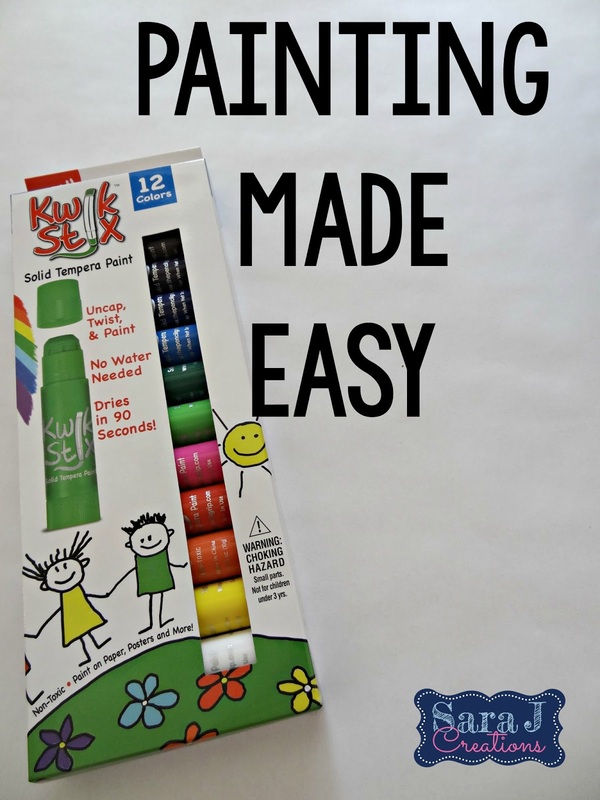 Enter the rafflecopter below for your chance to try out some hassle free paint fun!